Something big is happening here. Leave it to Taylor Swift to take over the entire internet the day everyone was already freaking out. 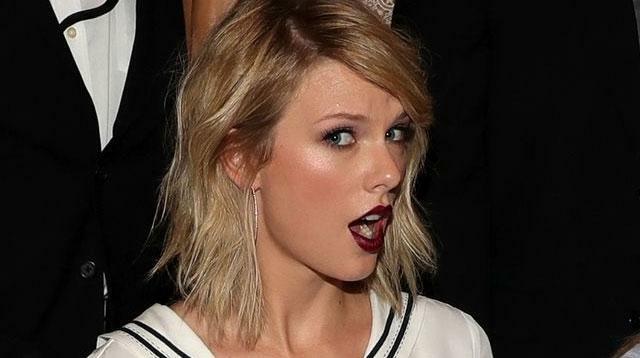 On Monday, the day a solar eclipse was all anyone ever talked about, Taylor stoked rumors she was coming out with new music—or at least some sort of new project. Last week, Taylor completely cleared out her social media, and fans thought this meant she was gearing up to release her sixth album. And Monday morning, she posted a vague video with no audio or explanation. Something is definitely happening. The video, which she posted on Twitter, Instagram, Facebook, and Tumblr, shows what clearly looks like a snake or the tail of some sort of reptile, in choppy, VHS-quality style. If it’s meant to be a snake, it’s hard not to see this as a reference to her dramatic summer last year. There was drama with Kim and Kanye, Calvin Harris, and Katy Perry. Their fans sent lots of snake emojis her way at that time and her fans fought back with hearts. She clearly has not forgotten. Director Joseph Kahn tweeted a smiley face in response to the news and since he has directed several Taylor videos before, this means something new is definitely happening. Either way, people cannot deal with this right now. Especially on an eclipse day — can a celestial event just have its own moment to shine already? Update 8/21, 12:05 p.m: Kahn also tweeted a joke that Taylor will "blot out the sun," presumably with an Earth-shattering announcement. Get ready.